In his first interview following his appointment as Yemen’s foreign minister, Khalid Hussein al-Yamani told Al Arabiya that the Houthi militias are in a difficult position, have suffered major losses and have accepted UN-backed proposals of a political resolution to the conflict. Yamani revealed that the United Nations received messages from the Houthis stating that they were ready for the peace process, their withdrawal from cities they have occupied and handing over their weapons to the state. On Thursday, Yemeni President Abd Rabbo Mansour Hadi issued a decision dismissing Abdulmalik al-Makhlafi from his post as foreign minister and his appointment as an adviser to the President of the Republic. He also issued a decree appointing Ambassador Khaled Hussein al-Yamani as foreign minister to replace al-Makhlafi. 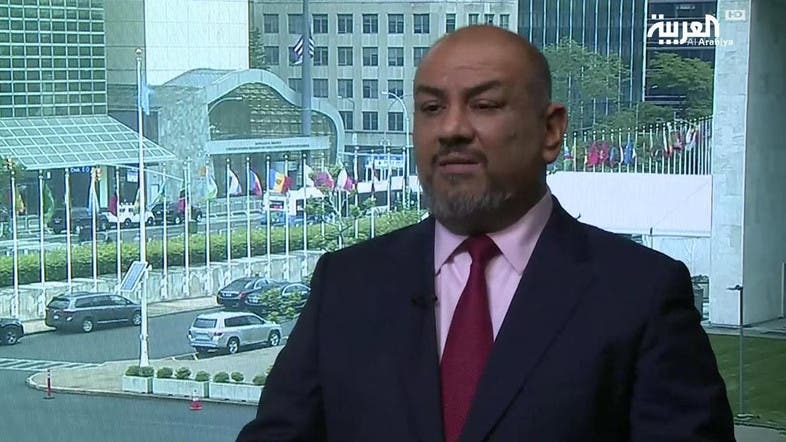 Yamani was born in 1960 and held several positions in the Yemeni Ministry of Foreign Affairs until his appointment at the end of 2014 as the extraordinary ambassador and delegate of Yemen to the United Nations in New York.